Life happens. Things get in the way and you get sidetracked, overwhelmed even. That’s where I have been for the past few weeks. My father died. Something like that can sidetrack you permanently if you let it. I can tell you I’ve felt better. It certainly cracked my momentum. My writing has suffered. I haven’t been able to think let alone put pen to paper. It has taken me three weeks to even write this blog. Then I saw a movie. A movie about a writer, a movie about words. 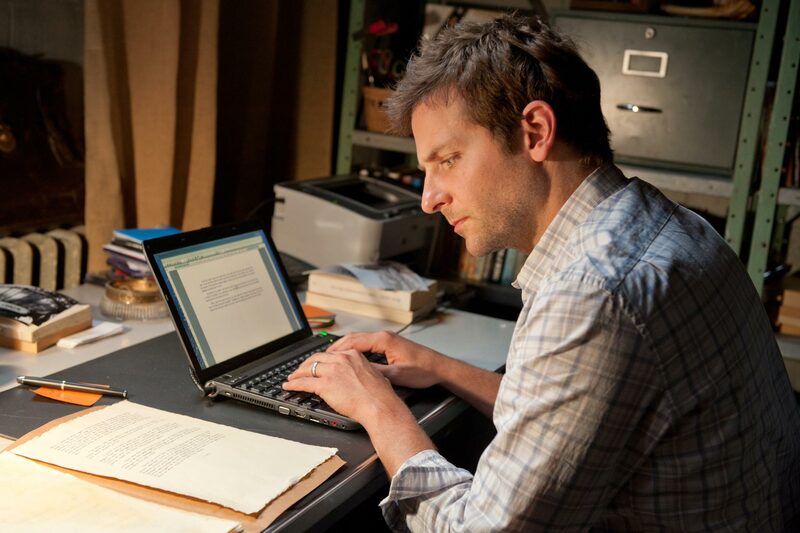 Bradley Cooper, one of the finest actors of this generation and one of my all time favorites, stars as a struggling writer who happens upon an old manuscript that he winds up publishing under his name even though the story isn’t his. The movie is riveting to say the least. But what really got to my core was the overall theme. At one point Cooper barks at Zoe Saldana who plays his love interest that he “doesn’t know how his life wound up this way.” he goes on to say that he isn’t who he thought he was and he’s afraid he will never become that person. It struck me…hard! That’s what has been lacking. That’s why the passion has seemed to fizzle. That’s why I haven’t put pen to paper in months for a new novel. I’m afraid of going that deep again. I’ve been through the ringer in my short 34 years. To be honest there’s alot of things I’d rather forget about. In writing, as in acting, you tap into your emotions to deliver the scene. Going that deep I wonder if I may not be able to come back. But I’m willing to make that attempt. I’m willing to draw from my gut and see what it produces. I hope you who are reading this will stay with me and see what is produced from this awakening. I’m so sorry for your loss. Truly. Sometimes when we’re at our lowest, we see things the clearest. Hang in there and know that it will get better. I’m not a writer, just a reader who sometimes writes my feelings down. I have bits of paper all over the place. It seems when I was at my lowest, my words were at their best. Z, I’ve been there too. Lost my brother to the hands of another a couple years back. Each loss is different. Right now, because my dad was the corner stone of the family it is a tough hurdle. Thanks for the comment. Wren, sorry for your loss. My mom passed in 2000. She was my best friend and ideal reader. That old cliche that ‘this too shall pass’ is not true in all circumstances but it does get less heavy. For me its always lingering but I try to use it rather than let it devour me. All I can say is that I’m trying to press on for my family and do them proud. I’m glad that something in this post may have helped you. I don’t usually open up this much about my past but sometimes its a necessary evil to get it out of you and not curl up with it. I’ll always stay with you, and if need be pull you out. We all go too deep sometimes. Just pull on your life line. We’re here.